A lot of people will know that gutt-wrenching feeling when you drop your phone and see that the screen is broken. But not this man. Video footage shows him performing a ‘drop test’ on the new iPhone X – much to the outcry of social media users. The video posted to Twitter shows the man repeatedly dropping the much sought after device which has a price tag of over 1,100 euros. The phone survives two drops before completing shattering on the third attempt. The man then tears the backing off the phone, showing a large hole. Social media users were not impressed by the video, arguing such a valuable item should be not so carelessly destroyed. 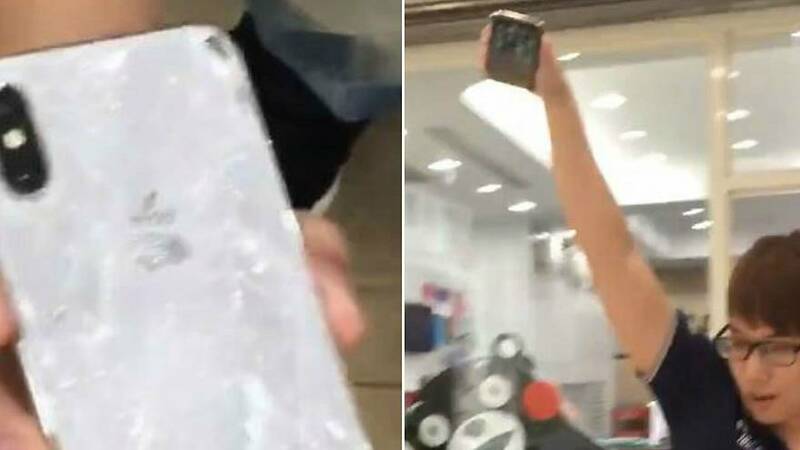 The man in the video is apparently not the only consumer to have bought the new iPhone only to break it. Other videos from China show people smashing their phones. One unlucky iPhone customer was showing off his new iPhone when it accidentally slipped out of his hands.